Daniel Clayton named Best Lawyers 2015 “Lawyer of the Year” – Nashville – Medical Malpractice Law. Best Lawyers compiles its lists of outstanding attorneys by conducting exhaustive peer-review surveys in which thousands of leading lawyers confidentially evaluate their professional peers. The current edition of The Best Lawyers in America (2015) is based on more than 3.9 million detailed evaluations of lawyers by other lawyers. The lawyers being honored as “Lawyers of the Year” have received particularly high ratings in our surveys by earning a high level of respect among their peers for their abilities, professionalism, and integrity. Steven Naifeh, President of Best Lawyers, says, “We continue to believe – as we have believed for more than 25 years – that recognition by one’s peers is the most meaningful form of praise in the legal profession. We would like to congratulate Daniel L. Clayton on being selected as the ‘Nashville Best Lawyers Medical Malpractice Law – Plaintiffs Lawyer of the Year’ for 2015.” This is the second time in the past 4 years Daniel Clayton has been honored with this prestigious award. In addition, Daniel Clayton was named to 2015 edition of The Best Lawyers in America in the practice areas of Medical Malpractice Law, Personal Injury Litigation and Product Liability Litigation. Daniel has also been selected to Mid South Super Lawyers Top 50 Lawyers in Nashville, and Top 100 lawyers in Tennessee. Professional Background – A Leader in the Law. Daniel Clayton is certified as a Civil Trial Specialist and a Medical Malpractice Specialist by the Tennessee Commission on Continuing Legal Education and Specialization (www.cletn.com). Only a few attorneys in the state of Tennessee hold both certifications. Daniel has been named to Best Lawyers in America (www.bestlawyers.com) as well as being selected for inclusion as a Mid-South Super Lawyer (www.superlawyers.com) – a list compiled by Law and Politics magazine featuring the top 5% of attorneys in Tennessee, Arkansas and Mississippi. Not only was Daniel included in this list, but Mid-South Super Lawyers also listed him in the Top 50 lawyers in Nashville and Top 100 lawyers in Tennessee. He is also a member of the National Trial Lawyers Association (www.theatla.com) which is a national organization composed of The Top 100 Trial Lawyers from each state. Membership is obtained through special invitation and is extended only to those attorneys who exemplify superior qualifications of leadership, reputation, influence, stature, and profile as civil plaintiff or criminal defense trial lawyers. Because of his success and insight, he is a much sought after speaker on the subject of trial practice. 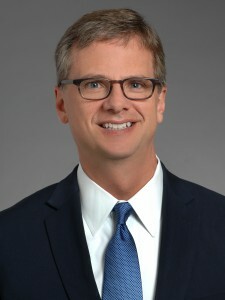 He has given presentations across the state of Tennessee, Florida and Georgia not only to other attorneys, but also as a featured speaker at multiple seminars for Tennessee judges. He has tried cases in Alabama, Kentucky and across the state of Tennessee. He has represented clients in Tennessee, Alabama, Kentucky, Georgia, Michigan, Illinois and Florida. Daniel is a Past President of the Tennessee Association for Justice. He also serves on the Board of Governors for the Tennessee Association for Justice, the Medical/Legal Committee for the Nashville Bar Association and is a member of the American Association for Justice. He is a member of the Circle of Advocates and the Nashville Bar Foundation. Daniel was selected as a Senior Counsel member of the American College of Barristers. The status of Senior Counsel is a distinction honoring his skill and experience as a trial lawyer as well as his demonstrated commitment to promoting excellence in the art of trial advocacy. Daniel was also appointed by the Tennessee Supreme Court to serve as a hearing officer for the Tennessee Board of Professional Responsibility. Daniel is a graduate of Lipscomb University (B.A. 1984) and the University of Tennessee College of Law (J.D. 1987). While in law school, he was a National Semi-Finalist member of the National Trial Moot Court Team. He received the United States Supreme Court Justice Lewis Powell Medal for Excellence in Advocacy. He is listed in Who’s Who in American Law and is a past recipient of the Distinguished Service Award for his contributions to the legal community. Daniel enjoys an AV-Preeminent rating with Martindale-Hubbell, which is the highest rating that can be achieved and identifies lawyers with preeminent legal ability as well as the highest professional and ethical standards. Community Service – A Leader in his Community. In 1994, Daniel was elected to the Franklin Special School District Board of Education. He served as the Treasurer of the Franklin Special School District Board of Education from 1994-1997. During his tenure, the Franklin Special School District received the Tennessee School Board of the Year Award from the Tennessee School Board Association. Daniel is an active member of the church he and his family attend. Daniel has been involved as a team leader in missions work, not only on U.S. soil, but also in areas of Mexico and Jamaica. He and his wife are members of the Williamson County Foster Parent Association. During the past 17 years, they have served as foster parents to over 35 children including special needs and disabled children. They actively support Graceworks Ministries, Mercy Children’s Medical Clinic and Faith Family Medical Clinic. Daniel served as a Youth Basketball Coach for 14 years with the YMCA, Williamson County Recreational League, Grassland Athletic Association, and the West Nashville Sports League. He and his wife, Stacy, along with their four children, live in Williamson County, Tennessee. Courtroom Success – A Commitment to Excellence. Daniel has handled numerous high-profile cases that have received local and national media attention including the death in an automobile/motorcycle wreck of the world’s most decorated aerobatic pilot (whose planes are on exhibit at the Smithsonian Institute in Washington, D.C.); the wrongful death of a woman after the car she was driving burst into flames after it was hit in the rear-end by a tractor-trailer; the disabling back injuries a man received when a deck collapsed because of improper construction, causing him to fall 20 feet; the death of a well-known pharmacist after his CT scans were misread, and severe injuries a lady received after pure 99.9% acetic acid, instead of a 4% solution, was used on her during a gynecologic procedure. In March of 2010, Randy Kinnard and Daniel Clayton obtained a 22 million dollar jury verdict – the largest medical malpractice verdict in Tennessee history for an individual person. Daniel has successfully handled multiple brain injury cases including birth trauma injuries. He is currently handling multiple cases against defendants in the Tennessee fungal meningitis matters. In June 2014, a Rutherford County jury awarded 1.96 million dollars in damages to Daniel Clayton’s client, Scott Summerville. This verdict was part of a nearly $3 million dollar verdict in a wrongful death and personal injury trial presided by Judge Royce Taylor. Newspaper reports indicate that the jury verdict is the largest award ever made in a Rutherford County car-crash case. His areas of practice include catastrophic and personal injury, tractor trailer and charter bus accidents, including accidents caused by tire explosion/defective tires on buses and trucks, automobile collisions, wrongful death, medical negligence, and product liability. For more information regarding Board Certification, please visit www.abpla.org and www.cletn.com. Daniel enjoys running (2012 Chicago Marathon, 2010-2012 Music City Marathon-Half Marathon, 2012 Savannah Half-Marathon), fishing, reading, playing golf with his son and son-in-law, and playing tennis. Most of all, he enjoys spending time with his family – and vacationing in beautiful Seagrove Beach, Florida. October 2014 – $5,000,000.00 Pediatric Medical Malpractice Verdict in Nashville, Tennessee involving failure to diagnose a tick bite illness. A 12 person Nashville jury awarded 5 million dollars to Kinnard Clayton & Beveridge client, Story Laurent, whose 22 month old child died from an undiagnosed tick infection. Ryder Laurent, age 22 months, had a tick bite a few weeks before presenting to his pediatricians with a fever and rash. A first pediatrician (Patton) thought it was an ear infection. Mother returned the next day. A second pediatrician (Keffer) at the same group thought Ryder was having an allergic reaction. The boy was worse the next day and yet he was twice dismissed by Vanderbilt Hospital. Finally he was seen two days later. After being admitted to the hospital, an infectious disease physician was consulted and made the presumptive. Ryder had Ehrlichiosis, a tick-borne illness. Had he received prompt treatment (Doxyycline), it was probable he would recovered. Prior to trial, the claims against Vanderbilt had been resolved. The case went to trial against Old Harding Pediatrics, where the two pediatricians practiced. They were both found at fault. The 12 person jury unanimously awarded $750,000 for Ryder’s pain and suffering and $4.25 million more for his pecuniary loss. Daniel Clayton of Kinnard Clayton & Beveridge, Nashville on behalf of Story Laurent, the mother of Ryder Laurent. Thomas Wiseman and Kimberly Silvus of Wiseman Ashworth defending for Old Harding Pediatric Associates.